'Kim Jong-un is in that building' Jump to media player In North Korea, a rare Workers' Party Congress is taking place. North Korea set for party congress Jump to media player North Korea is poised to hold its first party congress in decades. North Korea Congress: Three to watch Jump to media player As North Korea gears up for its first ruling party congress in nearly four decades, observers are looking to for signs of who might be in, or out, of favour. In North Korea, a rare Workers' Party Congress is taking place. It is the first congress since 1980, and it is thought that Kim Jong-un will use it to consolidate his hold on power. 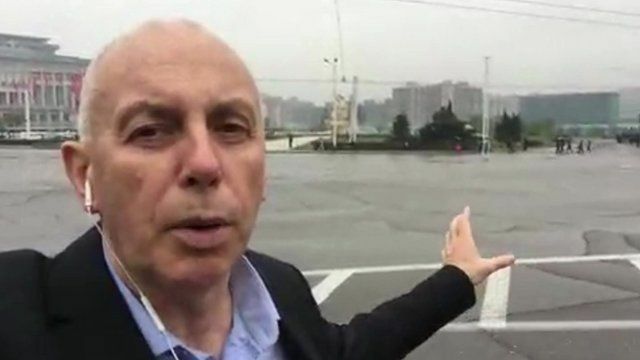 Stephen Evans reports from Pyongyang.